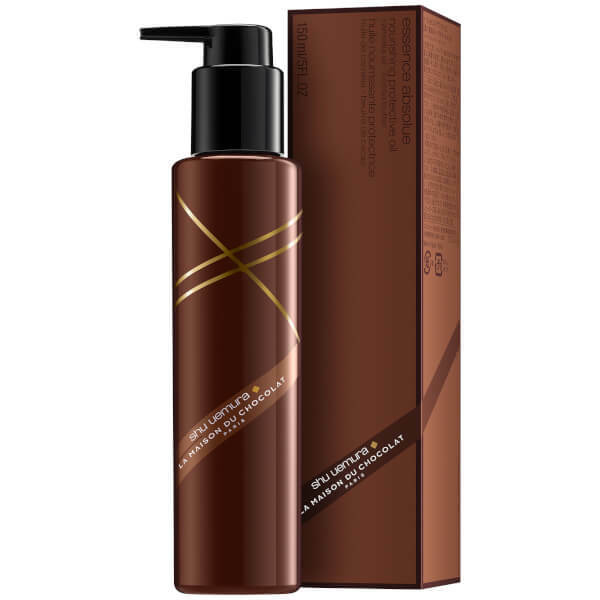 Create sleek blow-outs, high-shine up-dos and healthy looking lengths with the Art of Hair Essence Absolue Oil from Japanese beauty brand Shu Uemura’s exclusive holiday collaboration range with renowned Parisian chocolatier house, La Maison du Chocolat. The best-selling oil delivers a multitude of benefits, from deeply moisturising and protecting hair with an intense zap of nutrition, whilst enhancing shine and providing UV protection without weighing down even the finest of locks. 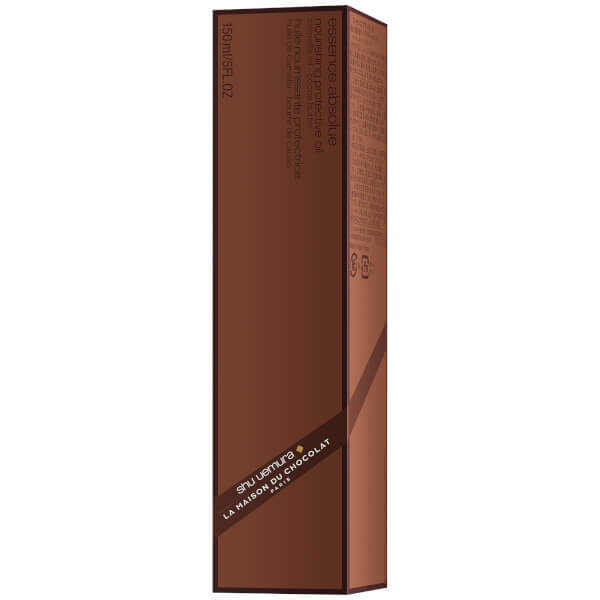 Formulated for daily use, the oil is enriched with Cacao and lipid-packed Camellia Japonica Oil for silky and velvety soft tresses that don’t fail to wow. Infused with an alluring fragrance and presented in a bottle conveniently topped with a pump dispenser. 1. To use as a styling aid, apply 1 pump to your hands (a little goes a long way) and work through hair from mid-lengths to ends. 2. To use as a pre-shampoo treatment, use 3-4 pumps and comb into dry hair before shampooing. 3. To use as a conditioning treatment, apply 1 pump each to 4 sections of hair from mid-lengths through ends, and massage into scalp. 4. Leave overnight and style as normal in the morning.